Ash Wednesday, March 6: The beginning of the season of Lent will be observed with two Ash Wednesday services on Wednesday, March 6, at noon in Potter Chapel, and 7:00 p.m. at St. John’s AME Church. 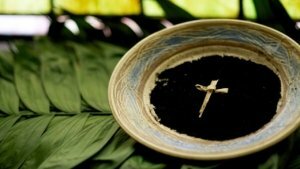 Our Ash Wednesday worship services will help us begin our Lenten preparations with music, scripture, prayer and, for those who wish, the imposition of ashes. The noon service is for all persons, but especially for those who don’t wish to drive after dark. Taizé Service: Wednesdays, March 13 and April 10, at 7:30 p.m. Please join us for a time of quiet reflection, meditation, music and prayer, in the beautiful candlelit chapel. This service lasts less than an hour. Children’s Musical: Sunday, March 24, at 9:30 and Emerge services, enjoy “The Tale of the Three Trees” as presented by our WUMC children, directed by Gretchen Wessel. Lenten Tuesday Chapel Communion and Meditation: On Tuesdays during Lent, March 12 through April 16, the Potter Chapel will be open for a Meditative Time from 7:00 to 8:00 a.m., and 5:30 to 7:00 p.m. During this time you may meditate for as long as you like and then come forward where one of the pastors will serve you Holy Communion. All-Church Lenten Study: This Lent, we will look at our mess through the eyes of Christ. The good news of the gospel is that by the grace of Christ, found in the love of his death and resurrection, we can be restored to the image of God in which we were created. 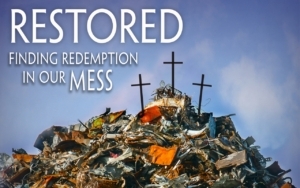 In Restored: Finding Redemption in Our Mess, Tom Berlin encourages reflection and meditation through our own brokenness through the use of Scripture, devotional tools, and the writings of Ignatius of Loyola, John of the Cross, St. Augustine, John Wesley, Evelyn Underhill, and others. Sessions will be on Sunday Mornings at 10:40 a.m. in Browning Lounge beginning March 10, and on Wednesdays at 7:00 p.m. beginning March 13. Books are available in the church office; you are welcome to attend without reading the book. Children’s & Youth Sunday School (10:40-11:25 a.m.) – For our children and youth, our Sunday school classes will be focused on Lenten themes, broken down according to their ages. See our Children and Youth Sunday morning schedule for classroom locations. Sr. High Devos – On Tuesday evenings our “Devos” small group will be focused on the church-wide study Restored: Finding Redemption in Our Mess. If you are in high school, we invite you to join us in the Youth Prayer Room from 8-9 p.m.
Reading and Devotions for Lent and Easter: Visit the church library for a brochure on resources for Lent and Easter. Our wonderful library has many up-to-date books to aid your Lenten devotional time. A Prayer Calendar will be available for pick-up in the church office starting March 3. Children’s Camp Fundraiser: Pick up a tube of M&Ms from the church office starting March 3 throughout Lent to fill it back up with quarters after you eat the candy! The quarters will go towards fundraising for children in our church attending summer camps. Shrove Tuesday Pancake Dinner: March 5, 5-7 p.m. Come support the youth group as they raise money towards their summer mission trip and church camp! ProMusica Concerts: Saturday, March 3, and Saturday, April 27, 5:30 p.m. in the Sanctuary. Ethnic Dining, Tuesday, March 12, 6 pm: Join the church with the Outreach Committee as we venture out to try various cuisines around the world. First stop, Tibetan/Nepalese foods at Everest Cuisine in Worthington. 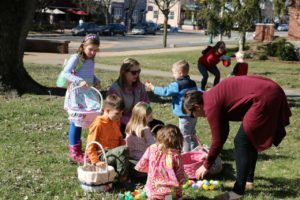 Easter Egg Hunt & Potluck Meal: Sunday, April 14, 4 p.m. Come join us for our annual Easter Egg Hunt! All ages welcome. Main course and drinks are provided; please bring a side dish or dessert to share. Rwanda Sharing, Sunday, March 17, 2 p.m.: Brad Arensberg will take some time to share with the church about his recent experiences during his trip to Rwanda. Come and hear how God spoke to him through this two- week journey. Home-Bound Communion: During the Lenten season, Holy Communion will be offered to homebound members. Homebound members will be contacted to arrange times. If you or someone you know is homebound and would appreciate receiving Holy Communion in their home, please contact the church office, at 614-885-5365 or office@worthingtonumc.com. Bags of Blessings to Share Ministry will collect donations to benefit Worthington Resource Pantry (March) and New Life Clothing Room (April). Friendship Dinner Community Meal: Thursdays, March 21 and April 18. Help us welcome our neighbors as we offer a free, home-cooked meal to anyone who needs one. No need to sign up—just come! Mat Ministry Plarn Party: Join us on Wednesdays, March 20 and April 17, 1:00-4:00 p.m., in Dixon Lounge, as we make sleeping mats for the homeless while we enjoy a fellowship time. Pack Shack: April 6, 1-3 p.m. This is a great outreach opportunity for anyone ages 3-103. You can help us pack meals to send to the Mid-Ohio Food Bank right in our Fellowship Hall. Volunteers Needed in Northland: We are in need of volunteers who are willing to become conversation partners with immigrant & refugee families in the Northland area. Please sign-up through the office or contact johnma@worthingtonumc.com if you are interested. YWCA Family Dinner: March 23, carpool from the church at 4:30 p.m. to prepare and serve dinner to homeless families at the Family Center. Family friendly opportunity for ages 12 and older. Operation Sandwich: Make a difference during Lent! Simply make individually-wrapped sandwiches of PB&J or Bologna & cheese (no condiments) for the Friends of the Homeless Shelter, and drop them off in the Fellowship Hall refrigerator by Sunday morning each week. Make it a family event and create a fun sandwich assembly line. 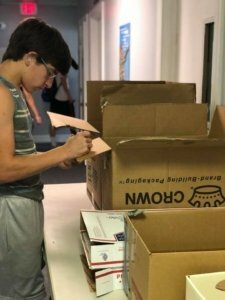 Continuing Needs: In addition to our many Outreach opportunities, please know that we continue to collect items for the Worthington Resource Pantry, the NNEMAP Pantry, and the New Life UMC Clothing Room. 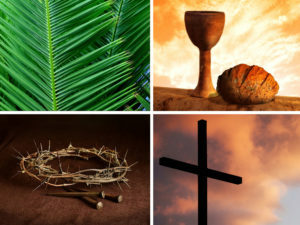 Palm/Passion Sunday, April 14: Join us for 9:30 a.m. and 11:30 a.m. Worship Services. Our Children’s Choir will sing at the 9:30 service. Maundy Thursday Service, April 18, 7:30 p.m., in the Potter Chapel, with St. John’s AME Church, as we celebrate the Seder together. Watch for more information to come as Holy Week approaches. 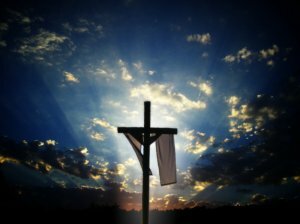 Community Worship Service, at 12:00 Noon – This service begins at Worthington Presbyterian Church, traveling to seven worship stations around the Village Green, experiencing the seven last words of Christ. The last station is in the cemetery at St. John’s Episcopal Church. Worthington UMC will host one of the stations. Good Friday Service with Special Music, 7:30 p.m., in the Sanctuary. The Chancel Choir and orchestra will perform works of J.S. Bach, Tchaikovsky, Handel, and Mozart. Directed by Jarod Ogier. You are invited to bring some cut, fresh flowers of your choice to decorate the cross in our courtyard, in celebration of Easter. Sunrise Service, 7:00 a.m. – Join us outside (weather permitting) as we reflect on readings and spend time in prayer to celebrate our Risen Lord! Sunrise breakfast, 7:30 a.m. – Enjoy breakfast with made-to-order omelets in Fellowship Hall, hosted by our Scouts. 9:30 a.m. – Easter Worship Service, in the Sanctuary. Our traditional service features festive music with Chancel Choir, Organ and Brass. Everyone is welcome! There will be no Sunday School classes today, but classes will resume the next Sunday, April 28. 11:30 a.m. – Easter Emerge Service, in the Sanctuary. Our “Emerge” service features energetic vocal and instrumental music with a contemporary flavor. Everyone is welcome! Beautiful Easter Flowers, to decorate the sanctuary on Easter Sunday, may be given in memory or honor of family and friends. Orders may be placed between services on March 3, 10, 17, & 24.